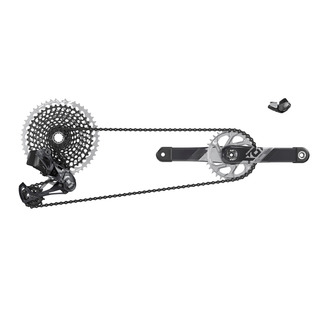 X01 EAGLE AXS DUB GROUPSET (REAR DER WBATTERY, TRIGGERSHIFTER WCLAMP, CRANKSET DUB WDM 32T, RAINBOW CHAIN 126LINKS, CASSETTE XG-1295 10-50T, CHARGER/CORD, CHAINGAP GAUGE) Riders haven’t asked for this product, because it was never possible before. We didn’t employ the magic of wireless electronics for effect either. We engineered hardware with a new ergonomic experience based on touching a button rather than pushing a lever. Giving you faster, more consistent shifts. Letting you shift when you want, under load, without ever having to plan around terrain. 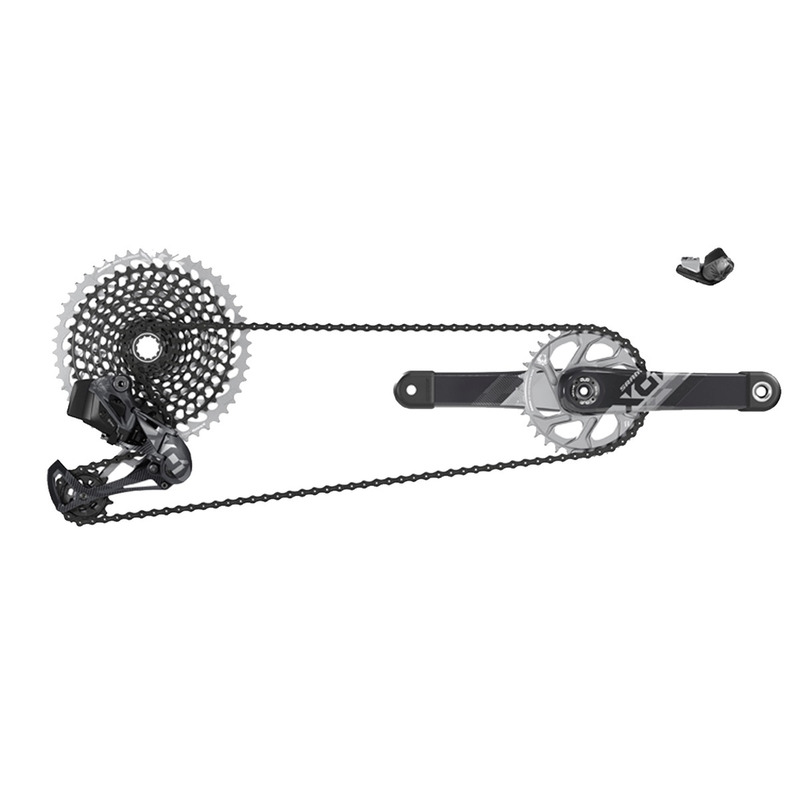 Gathering useful data, telling you how many shifts have been made, how frequently each cog is being used, helping you make smarter choices on chainring size, and more. But just as important as what Eagle AXS™ can do is how simply it does it. With intuitive and refined practicality. Built for the rider. Not the buzz. A day before the most brutal round of the Enduro World Series, Mitch Ropelato installed X01 Eagle AXS™ on his race bike. After 3,600m of descending at race-pace and some derailleur-to-rock contact that should have ended his day, this is all he said: “I never want to ride anything else.” THINGS TO REMEMBER Eagle™ is a complete drivetrain system that was developed to be an integrated high-performance ecosystem. The engineering and testing that went into the development provide for maximum performance, safety, and long-term durability to ensure a great consumer ride experience. We guarantee this performance when Eagle™ drivetrains are used as a complete ecosystem. For additional information, please contact your SRAM Sales Contact.